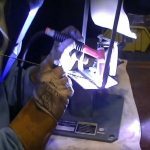 A youtube channel viewer asked a question about arc welding and what can cause you to receive and electric shock. Jeff explains the basics on what you should know before you start and how to reduce the likelihood of being shocked or electrocuted. 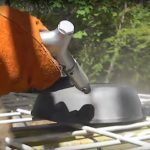 Fish Plate Weld – When & Why Is It Used? A good friend runs into trouble when a leg brace required for her to walk breaks. 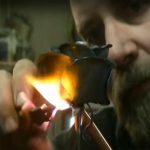 Jeff uses a technique called “Fish Plate Welding” which is a type of reinforcement used in a wide verity of situations. This will be a video using TIG on Stainless Steel. 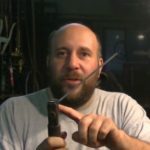 Jeff designs and makes an adjustable bending fork, there is just one catch. 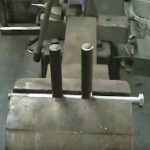 He set a 10 dollar limit for materials, 30 minutes to built it and it had to be multi use… oh, he also can not weld any part of it. Dana and Jeff give you a second look at sand blasting, this time they take it outdoors and talk about the new safety measures you need to apply. 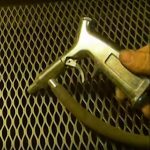 Dana and Jeff give you a basic introduction to sand blasting, why it is useful and how it works.